Lindsey “The Lap Dog” Graham, a South Carolina Republican U.S. senator who once dared to challenge Donald Trump’s competence and moral standing, now says the president’s new attorney general is comfortable with an investigation under way into whether the Trump campaign colluded with Russian operatives in 2016. OK, then. How in the world are we supposed to believe that. 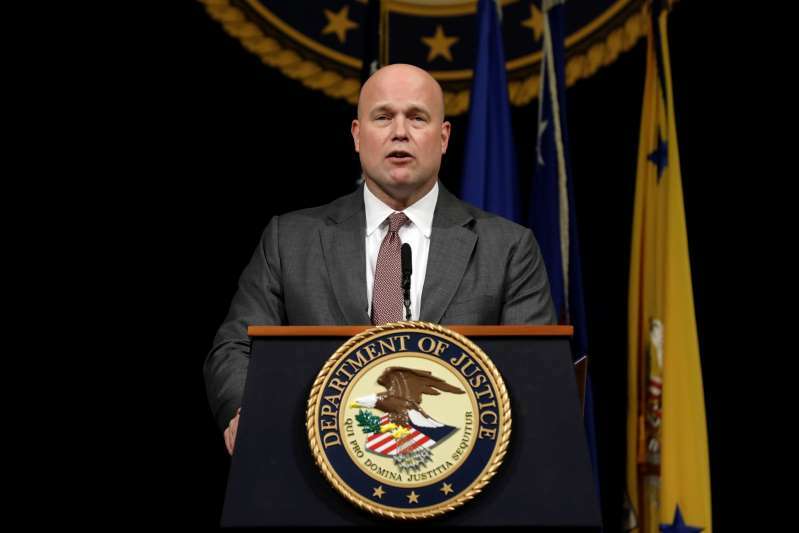 Acting AG Matthew Whitaker is on record calling special counsel Robert Mueller’s investigation a “witch hunt” and a “fraud.” Trump appointed him as acting attorney general after firing Jeff Sessions solely because Sessions recused himself from the Russia matter. Now the senator wants us to believe (a) that Whitaker is OK with Mueller’s probe and (b) the president won’t order Whitaker to give Mueller the axe. I don’t believe the first thing. The second matter, whether Trump will commit a supremely foolish act, is anyone’s guess. No one can predict what the president will do, not even Sen. Graham. Whitaker’s appointment to lead the Justice Department fills me with dread. I fear the president will move to coerce Whitaker into forcing Mueller out. I also fear that Whitaker will do the president’s bidding. The result of all this will produce the mother of constitutional crises; believe me when I say that I do not want that to happen. Moreover, given Sen. Graham’s dramatic change of heart regarding the president, I am disinclined to believe anything he says as well. Back when he was running against Trump for the GOP presidential nomination, he spoke candidly about Trump’s credentials for the nation’s top job — or, more to the point, the absence of credentials. Then Trump vanquished him. He got elected president. Now the senator has been slobbering all over Trump’s shoes, seeking to please him, possibly because he wants to become attorney general. Is the senator to be believed now? I don’t think so. Meanwhile, the Russia drama continues to play out. I’ll just implore the powers that be — one more time! — to let Robert Mueller do his job. Let him finish his work. Previous PostLock ‘n load, the ‘invaders’ have arrived!Next PostDid Cruz and O’Rourke bury the hatchet?